The Black Friday figures are in, and they prove that people just want to dance. Heading to Amazon for gaming deals on Black Friday - and the several days after - has become a tradition for many. Most buyers probably don't offer a passing thought as to what publishers come out ahead thanks to the hot, Ã¼ber-cheap lightning deals, but as far as overall sales figures go, this year's clear winner is definitely Ubisoft. The company scored three of the top four best-selling titles from November 23rd through the 25th, which is a pretty impressive feat. Taking the top overall spot was Just Dance 4 on the Wii, followed by Assassin's Creed III for Xbox 360, Halo 4, and then Assassin's Creed III for PlayStation 3. 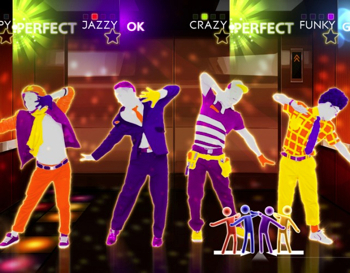 Just Dance 4 for Xbox 360 appears a few slots down on the list, and Just Dance 3 for Wii even makes an appearance. That's a whole lot of dancing and assassinating, or assassinating and then dancing about it, if that's your thing.